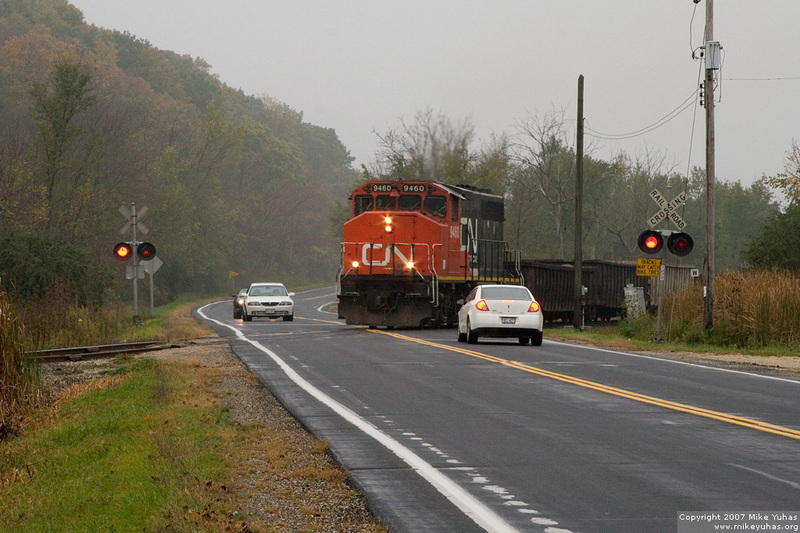 CN 9460, a GP40-2L, leads the L507 train north across Cedarburg Road. The 10 MPH speed limit on the Saukville Subdivision means most trains are almost idling as they amble along, but today's 507 is big and heavy: 21 gondolas loaded with scrap steel bound for Charter Manufacturing. 9460 is making a relatively loud roar.